Globalisation has driven the cost of textiles downwards to record low prices and we have all become accustomed to cheap prices. Market forces, currency rates and environmental issues are now reversing this downward trend. So, when UK margins are being squeezed, how do we buy uniform clothing 20% cheaper, better and faster? As you can probably guess achieving the nirvana of better, cheaper and faster is not a simple process, otherwise, in today's highly competitive markets we would already be receiving these prices and services. However, that does not mean that business models do not exist, or strategies cannot be created to meet these goals. To develop these models, we need to investigate and expose where costs are being generated and what criteria applies to the supply chain to eliminate the expenses, after all, we all know that clothing made in the Far East is cheap, so what contributes to the cost when it is sold to you. Alarm bells may already be ringing if you are a small company. We all know the more you buy the cheaper it gets, volume discounts apply, and production costs fall. However, this does not necessarily eliminate your company from reducing costs providing that you can bolt into the high-volume supply chains, the minimum order quantities can be surprising small. Information technology is blurring the lines between the large corporate uniform users and the SMEs, and we will investigate these agile supply chains further. If you buy more than 500pcs a year of a branded uniform item this may be for you. After expressing concerns about minimum volumes many companies assume that they will be required to pay up front for stock and will be committed to purchase set volumes of garments. Although there are very successful supply chain models, like airlines, that operate with pre-paid stock, and this can for obvious reasons be the cheapest method of supply. However, it is not attractive to most companies and it is not the most effective method of supply for SMEs, unless they are heavily cash positive. There are more appropriate models that we will investigate next. What criteria and models can deliver attractive savings? Firstly, let's eliminate the section of market where this model does not apply. The supply chain breaks down into two areas, unmanaged and managed uniforms. Unmanaged supply does not utilise stock holdings of branded items and requires the garment to be branded to order. Typically, uniform items will be purchased from a UK stockist by an embroidery house and branded as required. Lead times are on average five to ten working days. The advantages of this supply chain are that it is simple and works well at local level. However, most successful companies rapidly migrate across the country as contracts grow and are now managing a complex supply chain. As companies pass the 100 staff mark they would usually benefit from a managed service with a structured switching service to ensure a seamless changeover. 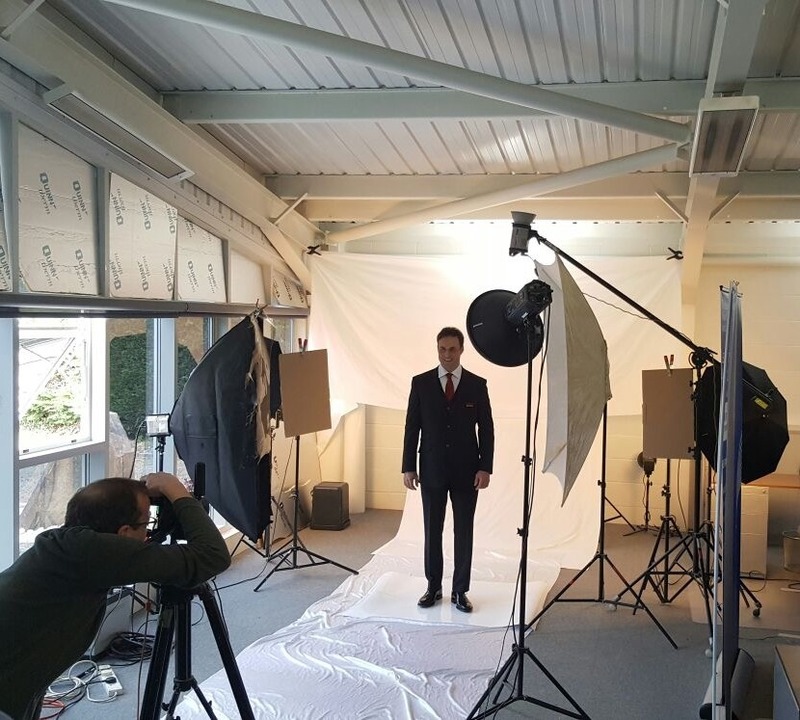 Managed uniform services can be as simple as a dedicated web page with a secure log on offering discounted prices, to a full wardrobe management service. The general market consensus is that security companies give their incumbent supplier 8 out of 10 for service, when in reality it is 8 out of 20, they don’t know about the extra 10 services available from free the top suppliers. One of these added value services is a managed supply chain. Managed uniform suppliers offer a total uniform pack that may include any item that the customer provides wishes, including items such as company HR literature, safety manuals, ISO9001 policy, notebooks, plus any specialist items like torches, stab vests, first aid packs, needle proof gloves, radios, lone worker alarms and fire protection clothing, with history of issue recorded on a web portal, creating a truly controlled one stop shopping experience. What service can you expect to receive? Here are some examples of services taken from the market place. Next working day service, same day service, managed stock, branded stock, uniform packs, discounted fixed prices, outsize ranges, dedicated website, wardrobe management, free training, dedicated account manager, on-site support, site roll out management, free graphics, brochure design, garment design, garment testing, bid support, budget control, statistical analysis, monthly billing, consolidated invoices, parcel tracking, made to measure service, fitting service, switching service, one stop buying. Case studies show that companies who switch to a managed provider benefit from an improved image, faster turnaround times, lower costs, reduced loses, and a considerable reduction in overhead; releasing internal staff to manage and grow their business. The key to cost savings is partnership, both direct and indirect savings can be made through a close relationship with the managing agent. Indirect costs should not be quickly dismissed as uniform supply chain management by its very nature is complex, time consuming and damaging if not handled effectively by a dedicated supplier with cutting-edge IT. A very simple direct cost comparison is branding. Any service that is labour intensive will be considerably cheaper carried out at source than retro fitted in the UK. Embroidery is typically 400% more expensive in the UK than in the garment factory which would typically reduce a landed garment cost by £0.50-£1. However, the main driving factor behind the saving is not manufacturing, but risk. If we look at a simple example of a mid-market company with 200 staff, buying 1,200 shirts per year in one design. This company requires a next working day service of a full uniform pack delivered anywhere in the UK. In order to meet this SLA the supplier must hold branded stock. The company orders 100 shirts per month but holding this level of stock will never meet the service level criteria. In order to guarantee that all the standard sizes are supplied on every order, 400 shirts will need to be kept in stock. This will cover fluctuating demand and a reasonable range of outsizes. Typically, the lead time from the factory would be 6 months therefore the supplier must commit to 2 rotations a further 600 shirts or a total of 1,000 shirts, equivalent to 10 months’ supply. It is clear that both the supplier and the purchaser must have a long-term strategy to benefit from the savings on offer, which can exceed 20%. So, what is preventing purchasers from cutting costs by 20%. Many suppliers do not have the supply chain management to control the stock and those that do have only offered the service to very large companies. Some companies operating rigid tender processes do not have the flexibility to adapt to the long supply chain. Purchasing processes need to be more agile, agile business are delivering the future, it is a mistake to keep them at arm’s length. If you want cheaper prices, form close partnerships with your suppliers to enable them to invest in you. Expect to sign a simple stock agreement to cover the commitment to the unique garments. The agreements are usually for 1 year and roll on as required. They don’t involve a financial commitment, this is the responsibility of the supplier, however, when the agreement ends the purchaser pays for any remaining branded stock. It is easy to see that the risk to the supplier is high and it is essential that, to reduce the risk to both parties, that the companies who enter into these agreements are strong and well established. Ask a uniform managing agent to consult on your uniform requirements under an NDA, to discover what you are purchasing, how many and at what cost. Based on the information gained it will be possible to analyse the current expenditure and predict which items can be transferred to direct purchasing to benefit from a 20% saving. To obtain the best deal, choose a supplier who has an established direct supply chain, in-house branding and embroidery, plus access to all the UK stockists. If you are a well established and agile company who purchases corporate clothing, consider joining a fully managed supply chain. You won’t regret it, it will be cheaper, better and faster. Contact our Sales Manager, Harry Ashby, to discuss how your company can start a partnership with the Peter Drew Group.